For yet another year VCN had a strong representation at the Norwich 100 and with several groups to choose from there were speed options for all. 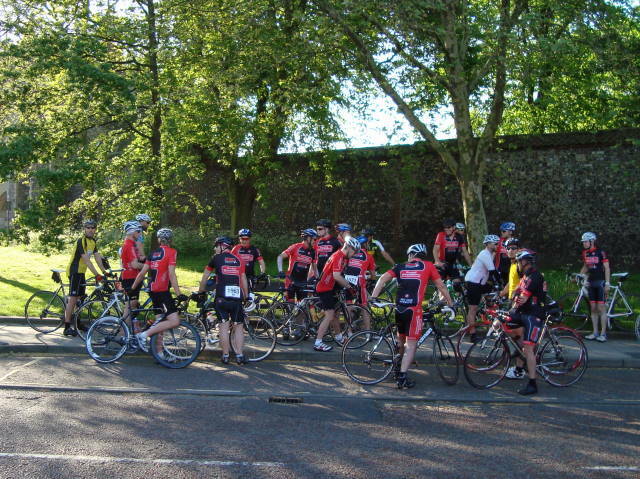 Here you can see the first of the middle group gathering before riding through to the start in Chapel Close. In all we had over 50 red and black shirts on the road with many taking the opportunity to top up tans at the finish before retiring to the pub to indulge in large quantities of “recovery drink”. For a full report see the link to the June newsletter below, but for those wanting to hear rider comments or see photos drop into the VCN facebook page or go here.